Hank Aaron is baseball's all-time leader in RBI with 2,297. 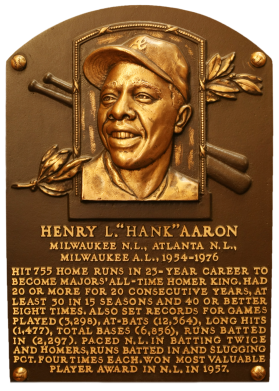 During a 23-year career with the Braves and the Brewers, "Hammerin' Hank" stood out as one of the game's most complete and consistent performers. 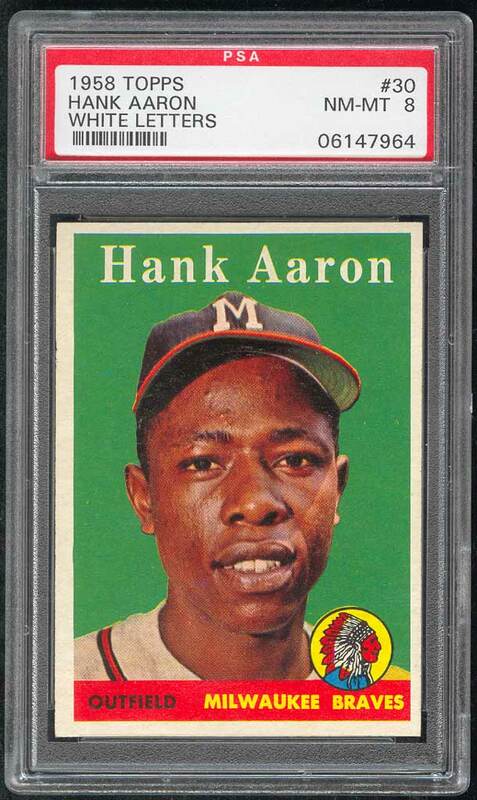 He was the NL MVP in 1957 when he hit .322 with 44 home runs and 132 RBI. Aaron hit 40 home runs or more eight times and had more than 100 RBI in 11 different seasons. 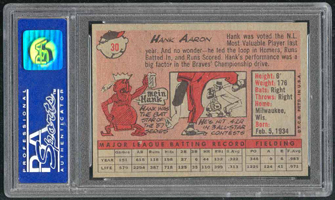 Comments: Beautiful and fresh-looking card of "Hammerin' Hank". An absolute beauty with sharp corners and great color. The centering may have kept this one from a PSA 9 Mint rating. This was one of the first 10-20 portraits I purchased, sometime in 1999 or even later. Unfortunately, I don't remember the specifics. But, it's been in the collection a long time. 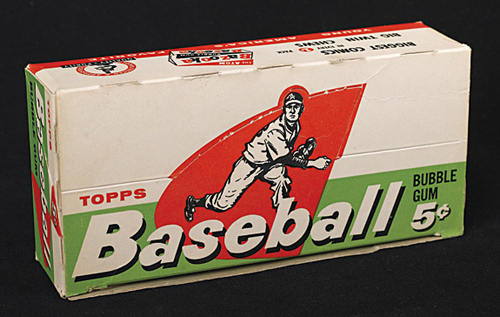 Description: Topps continued to expand its set size in 1958 with the release of a 494-card set. One card (#145) was not issued after Ed Bouchee was suspended from baseball. Cards retained the 2-1/2" X 3-1/2" size. 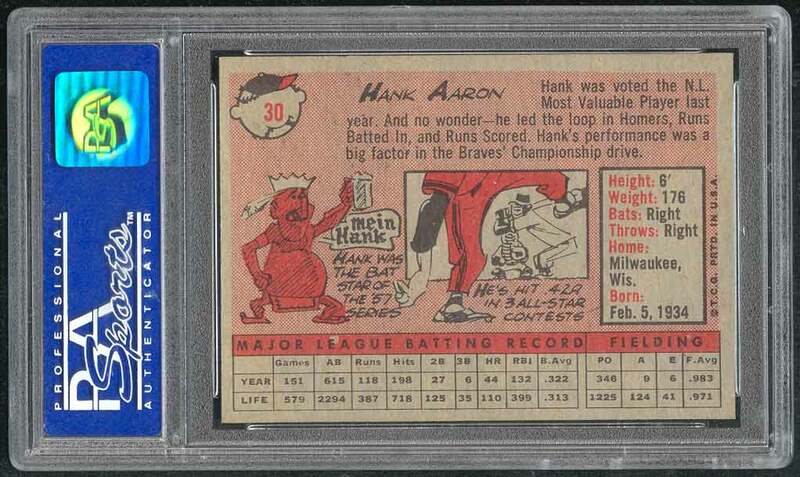 There are a number of variations, including player or team names found in yellow or white lettering on 33 cards between numbers 2-108. The number of multiple-player cards was increased. A major innovation is the addition of 20 "All-Star" cards. For the first time, checklists were incorporated into the numbered series, on the backs of team cards.